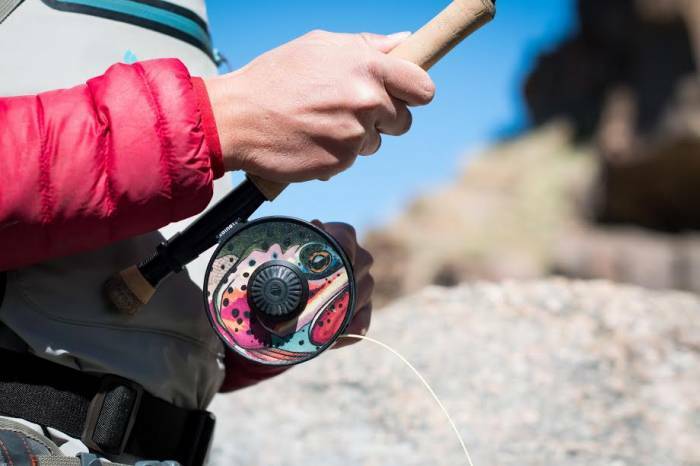 Custom reels, lightweight waders, even a convertible skiff-motorboat – maximize your time on the water with our top gear picks for spring fly fishing this year. Are your eyes drifting to the snow-lined creek more and more often? Spring fly fishing is just around the corner, so it’s time to dust off the gear and fulfill any needs you might have. Now, dial in the gear to prepare for the optimal spring fishing excursion. And check out our companion article, 9 Must-Have Trout Flies for Spring Fly Fishing. The Middle Fork Packable Waders from Patagonia are ultralight and packable (as the name suggests). Coming in at 26 ounces, they won’t weigh you down in the search for the backcountry bite. Bring wool socks, the thin seamless rubber booties lack insulation. Aside from that, this is a minimalist choice for weight-conscious anglers. Sizes run in short, regular, and long. Available now for $349. 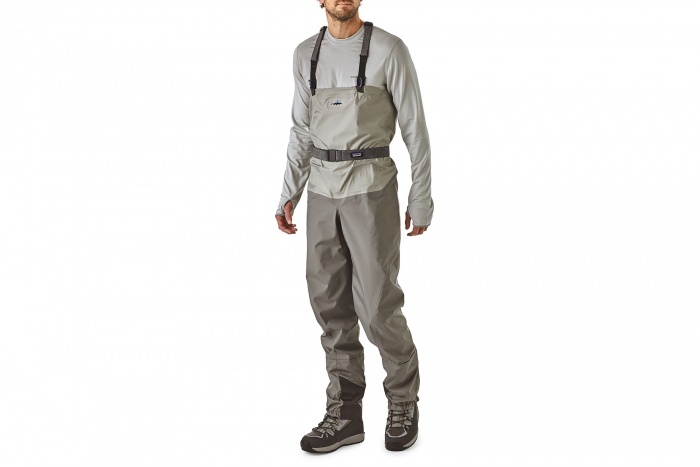 Budget alternative: The 4MOST Breathable Wader is Cabela’s premium wader offering. It comes with a tightly woven, waterproof shell and triple-layered knees. Better yet, they are affordable at $120–130. Loon now expands the product lineup from floatants and fishing tools to the newly offered ergonomic tools for the tying table. The kit comes with seven essential tools everyone, from beginner to seasoned fly artist, will appreciate. If you don’t need the whole kit, the tools are available for individual purchase. The seven-piece set runs $90, and individual tools range from $10–25 each. All are available now. Budget alternative: Cabela’s Standard Fly Tying Tool Kit is a beginner kit that comes with seven tools and is packaged handsomely in a wooden box. The kicker: It comes with a starter vice that will hold flies down to size 24. 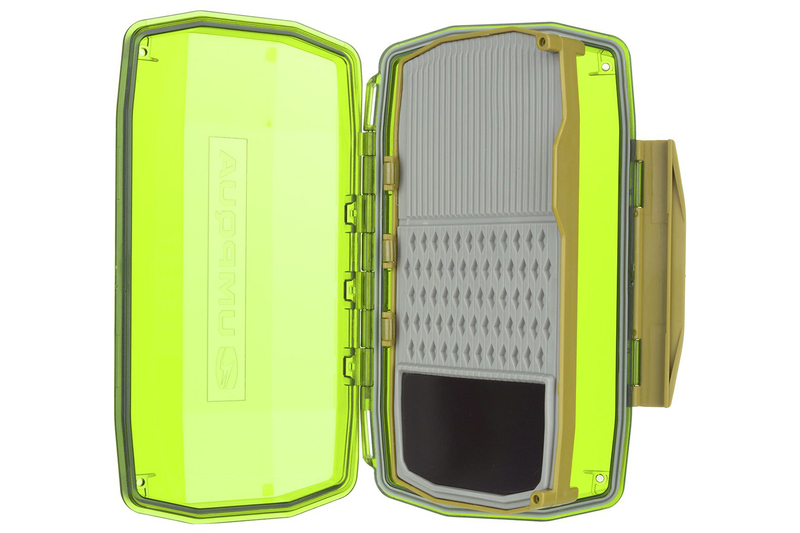 The new Umpqua Heavy Duty (HD) fly boxes claim complete waterproofing and shatterproof construction. An improved, transparent plastic shell protects against drops on riverbank rocks, and the gasket and latch system works as Class III waterproofing to keep flies dry. The internal double-sided fly storage leaf has TPE construction to hold midges, nymphs, terrestrials, and smaller streamers for a weekend’s worth of fishing adventures. The magnetic corners keep the leaf in place while making the next fly selection. It’s worth mentioning Umpqua fly boxes often weigh more than competitors, and at Class III, aren’t fully submersible. Available now for $40. Budget alternative: Lost Creek Watertight Fly Boxes, available in four sizes, are transparent and store flies at a friendly price. Take care to not drop it on the freestone banks or the water, as this box won’t take the abuse. Available now for $10–17. In an age of expression, Redington allows the reel to be your medium. The i.D reel houses a flat back circular section to tag your favorite decal of the 33 i.D decals. The work is backed by cast aluminum construction, a rulon disc drag, and a large arbor for speedy line retrieve. Available now in 3/4, 5/6, and 7/8/9 – ranging $90–110. Plus, it’s covered by Redington’s lifetime warranty. Budget alternative: The no-frills Okuma Sierra Fly Reel is made of die-cast aluminum and has ported spools and frame to cut weight. It’s a great reel option for any beginner looking to save money. Available in 4/5, 5/6, 7/8, and 8/9 weights from $40 to $45. 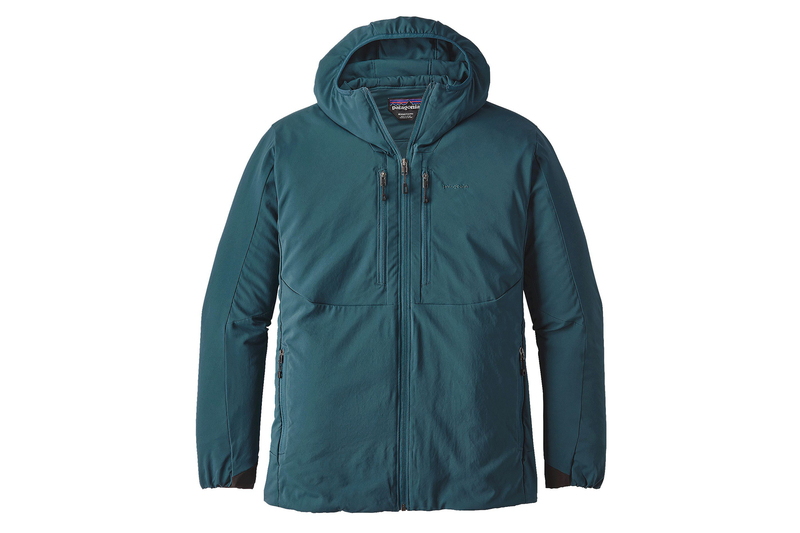 The Patagonia Tough Puff Hoody is an update from a previously successful jacket. New implementations of the Tough Puff include beefier outer fabric with higher breathability. Anglers have the option of stowing fly boxes in two oversized chest pockets. And the DWR treatment extends inside the sleeves to repel water when landing or releasing a fish – our favorite touch to keep you dry and warm. This jacket is marketed directly at fly fishers, though it shows the ability to fare well in various settings. The Tough Puff is available now in black or teal and runs $300. Budget alternative: Cabela’s Guidelight Anorak Gore-Tex Jacket gives you a lightweight rain jacket with no insulation. But it’s on sale currently for under $100. That’s a value too good to not look at. Available now in blue, black, or gray. Fenwick is a lesser-known brand in the fly fishing industry. So you’ll be hard-pressed to find one at a local shop. A classic 9-inch and 5 weight model on Amazon comes out to $156. Does this rod’s low price mean it lacks quality? No. This fast-action rod consistently casts closely to the performance of better-known competitors in the $500–800 range. That’s impressive for a rod you’ll find at Bass Pro Shops and Walmart. A variety of 17 different sizes and weights are available, plus a limited lifetime warranty covers any manufacturing defects. And even if the damage is your own fault, Fenwick will offer special pricing for the replacement. Budget alternative: The White River Classic Fly Rod offers a fly rod for the eager beginner. Both three- and four-piece options allow for fishing small streams to tackling larger rivers. It costs under $100, a worthy investment to try out the sport. From the dock, it’s a mini skiff. Near the feeding reds, it’s a silent paddleboard. The BOTE Rover is a personal watercraft with the ability to place a small motor (rack included) to get to your fishing zones faster. While not budget friendly, it looks like too much fun to not have our attention. The 14-foot craft weighs 105 pounds and allows for a maximum capacity of 500 pounds. The Rover is said to get up to 16 mph, with a maximum recommended 6-horsepower four-stroke motor. Available in three finishes for $3,500. 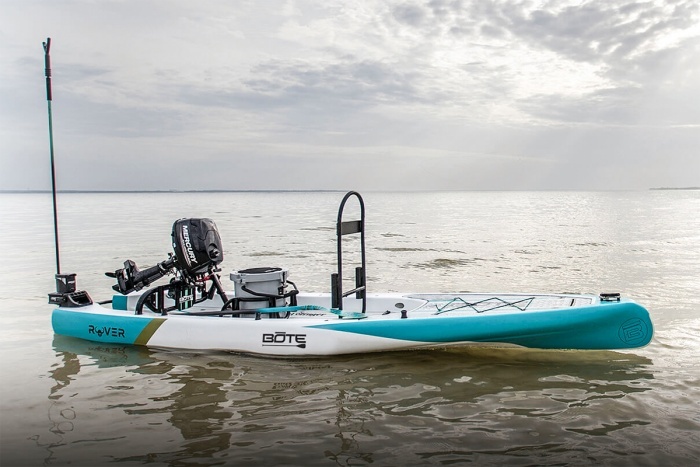 Budget alternative: The Pelican Tidewater 100X Angler Kayak is a 10-foot sit-on-top angling kayak that comes with five rod holders. It weighs 46 pounds and has a max capacity of 300 pounds. Available now for $400. 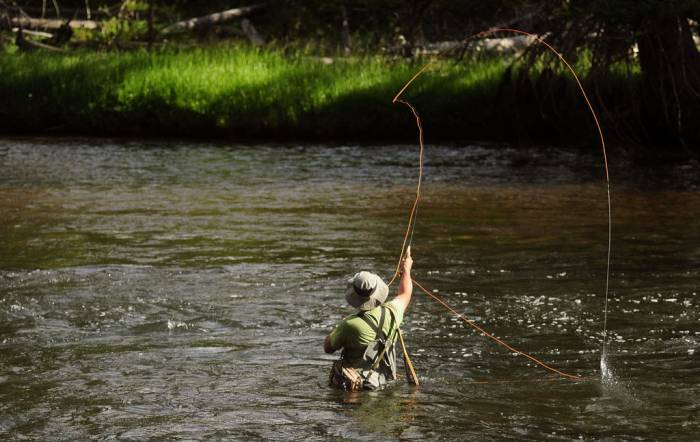 Exploration of desirable trout-filled rivers is a key element of fly fishing. The Orvis ultralight wading boot allows for riparian roaming without the feel of cement blocks strapped to your feet. Quick-drying Clarino microfiber material and drain ports keep water weight to a minimum. 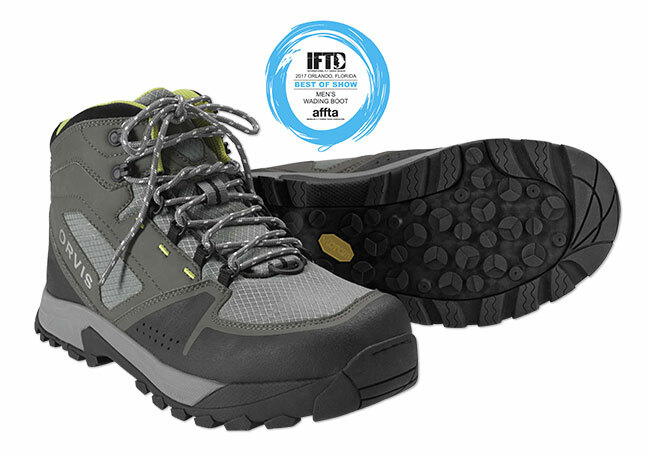 The Orvis won Best Wading Boot at the 2017 IFTD Show. These boots weigh approximately 40 ounces per pair and come equipped with a proprietary Orvis outsole by Vibram. Styles come in both men’s and women’s versions. Available now for $169. Budget alternative: The Cabela’s Ultralight Wading Boot is only a few ounces heavier and comes in at less than half the cost. Steel cleats are included, but the material technology is lacking in quality. Available now for $79.99. Your feet need traction and protection on the skiff platform when sight casting for feeding reds. While living the barefoot lifestyle is romantic, a slip on the deck or a hook in the foot is not. 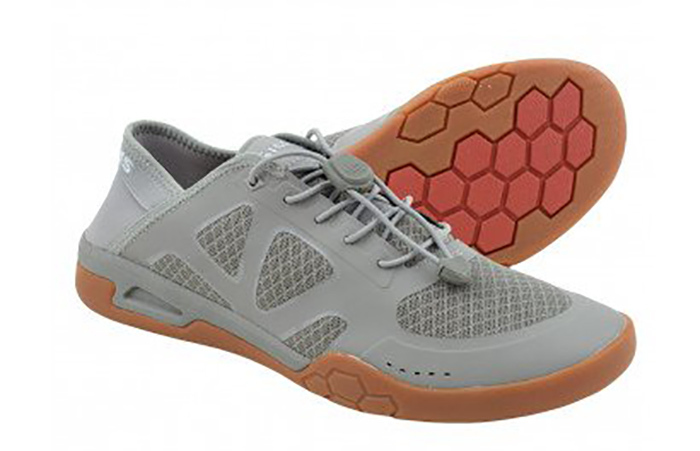 The minimalist Currents shoe has a siped outsole for grip and keeps hooks at bay. Just don’t take these to your freestone river and expect the same gripping results. Plus, you’ll avoid tangle with the stripped line at your feet thanks to the clean bungee lacing system. Mixed with a lightweight hydrophobic outer that drains well, this is a solid shoe. Available now for $100. Budget alternative: The color scheme of the Body Glove Hydro Knit Hydra Water Shoe might be obnoxious to some, but the price more than makes up for it. These shoes are built for life on the water. Available now for $50. Staying warm is key on the hike to your favorite hidden creek while thigh-deep in brown trout habitat. Wear this micron wool hoodie next to the skin with the hood up and feel the benefits of natural UV protection. 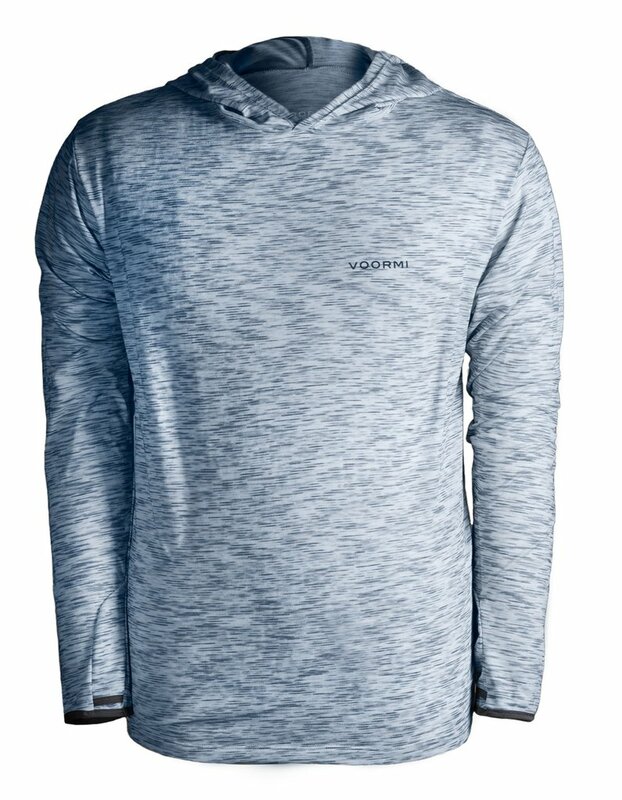 Voormi’s River Run Hoodie is made with sheep’s wool grown and manufactured in southwest Colorado. We’ve tested it and are really impressed with the shirt’s versatility and durability. Yes, it’s pricy, but merino wool is expensive for a reason: It’s USA-made to last. Available now for $129. Budget alternative: The Columbia PFG Super Tackle Terminal Hoodie provides UPF 30 protection in a polyester blended hoodie. Plus, we reviewed – and liked – Columbia’s sun-blocking Omni Shade technology. Available from medium up to 2XL in green, blue, and black digital camo. On sale now for $55.